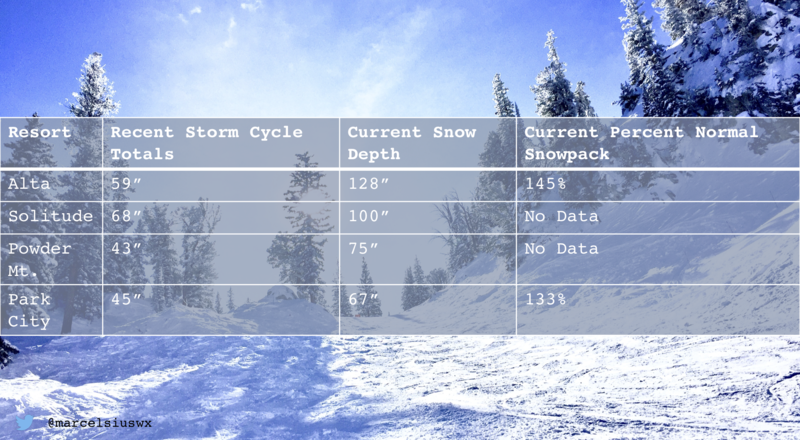 TLDR: Expect two back-to-back storms, the weaker storm hits mountains Saturday and the other dumps snow Sunday through Monday at all elevations. To summarize, an arctic vortex and a highly amplified jet stream interact to bring another strong storm to UT by Sunday. Why are we getting this storm, and why are we in an “active pattern” for storms? These storm periods exist by nature of a weak, split, and highly-amplified jet stream. Some people attribute this waviness of the jet stream to a few intraseasonal cycles. The Arctic Oscillation (AO), for example, results in a shift between a highly- and slightly-amplified jet stream. Perhaps the AO explains the currently frequent storms over the western US; in fact, the AO is now in its weak/highly-amplified negative phase. Just an idea. 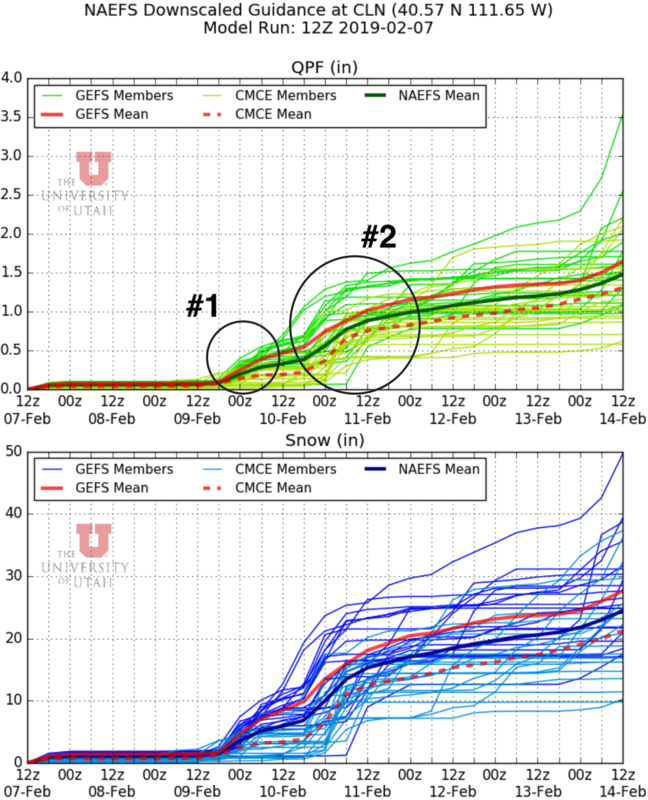 Given the setup, we can understand the Sunday storm’s two components. 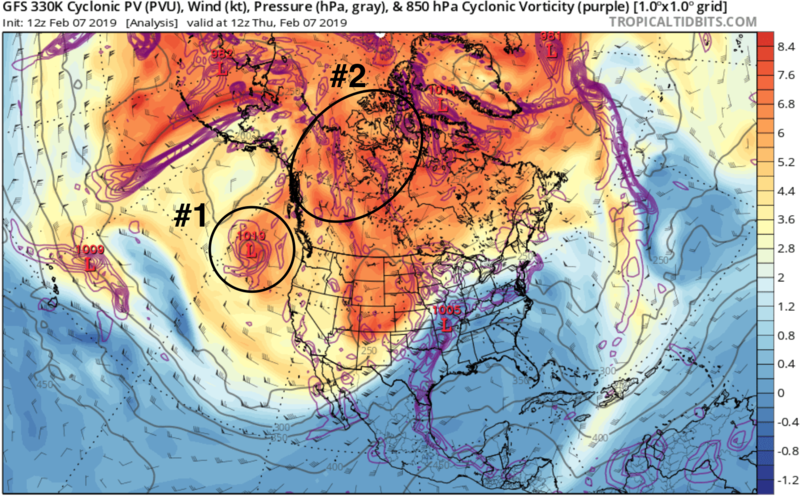 The first component is a shallow trough, traveling eastward across the North Pacific. The second part is a cold-core low whirling around a “daughter” of the arctic vortex, which is centered over northeast Canada. As the first component travels eastward, it interacts with the second, and both troughs dip southward along the west coast. Next, the second component becomes the main trough and begins to kick the first out into the western US. Lastly, you can expect the first storm to be weaker than the second. Both should impact the mountains, but only the second will impact the lowest elevations.